Some years ago I was making tired but still rapid progress between High Spy and Catbells, the final leg of a non-stop 7-hour walk in the Lake District from Langdale to Keswick on the side of Derwent Water (for aficionados, via Angle Tarn, Styhead, Great Gable, Green Gable, Grey Knots and Dale Head) when I was confronted by an apparition wandering across Maiden Moor in a salmon-pink shell-suit. At that time everyone with no taste was wearing them. 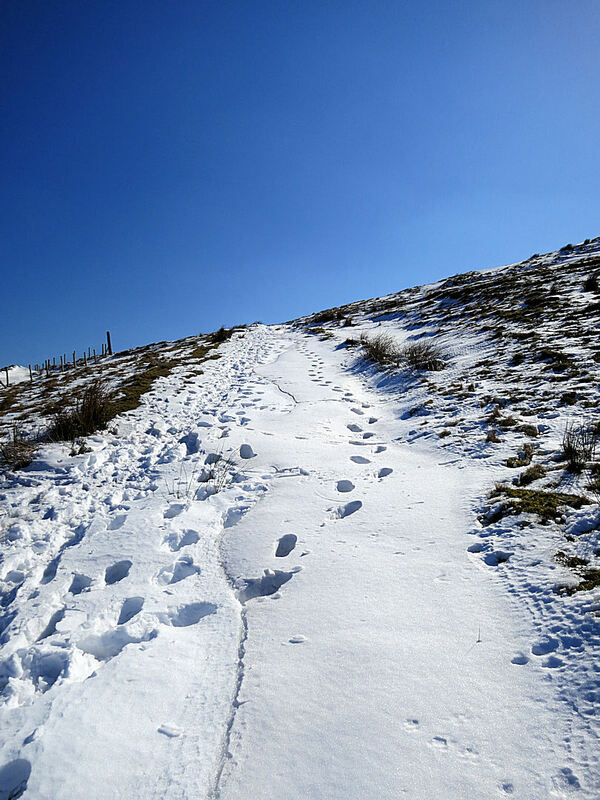 This particular apparition, blonde-haired, mincing her white trainers around the muddiest bits of the ridge-top path, burst out plaintively, almost panicking: “Is this the way? Is this the way??? She had no idea where she was going only that she had seen others walking up from the car park far below and decided to follow. With evening drawing on I made the decision on her behalf and pointed towards the top of one of the paths going directly down the nearly 2000 feet to the valley floor. Safer down there than up on the tops. It’s easy, and common, for mountaineers to sneer at such people but at least she was prepared to get out of her car and walk, and indeed put some real effort into getting up this high. Equally important she showed the right kind of attitude, giving it a go, even if completely lacking in experience, having done nothing to seek advice and guidance or even buy a map, and wearing inappropriate clothing. But then that’s how I started out. They were taken aback, looked disbelieving, when I replied that they would have to park the car and walk. Their ‘Saaafeast’ accents, urban clothing and urban car made it clear that they expected to be able to drive to the top and that they had no conception of how different the conditions were on the windswept top of the mountain with no higher ground between them and the Urals. I had targeted the mountain for a walk because it stood out from miles around as still white with snow when the ridges to the south were thawing rapidly in the sun, snow confined to isolated drifts. Even properly clothed for the conditions and pretty experienced in winter mountains I had been surprised at just how extreme it was up there 3 days into British Summer Time. 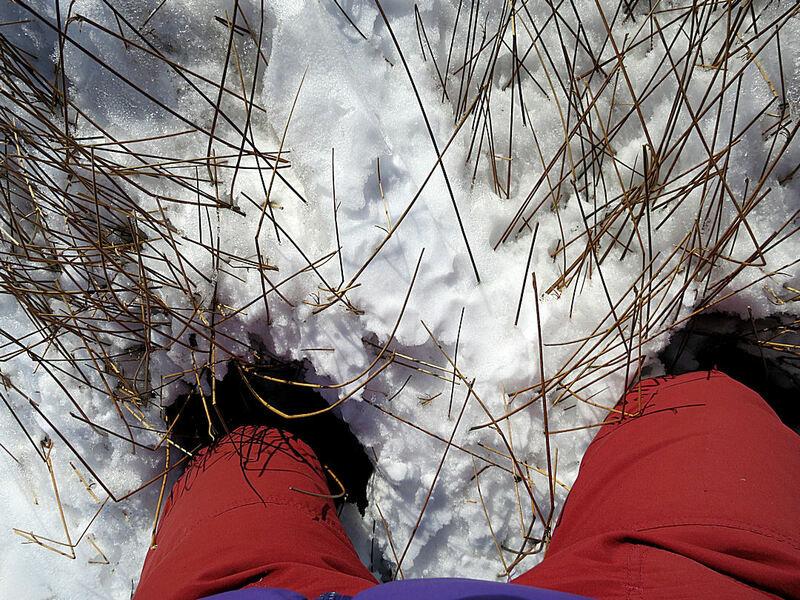 There was almost complete snow cover, in places drifted thigh deep. Had I not walked the route a number of times before I would not have found the way. 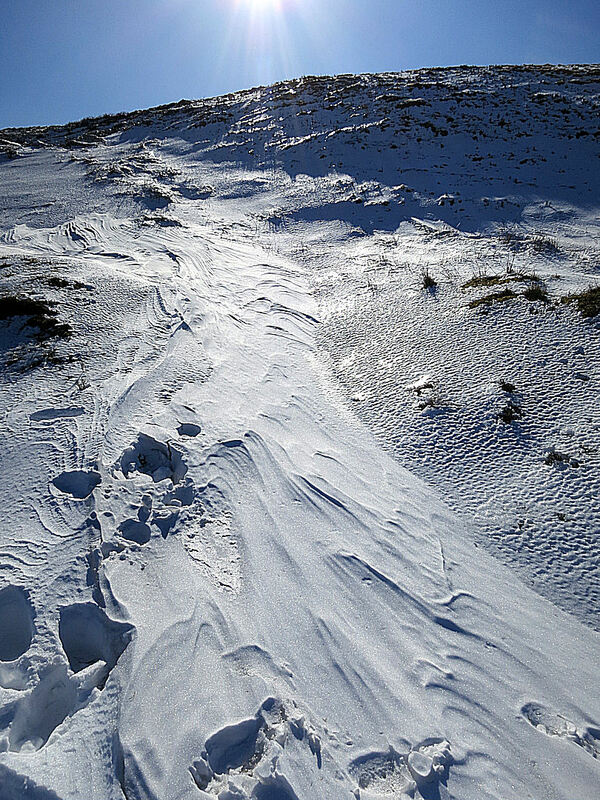 The usually obvious path was obliterated, indistinguishable from the rest of the mountain. 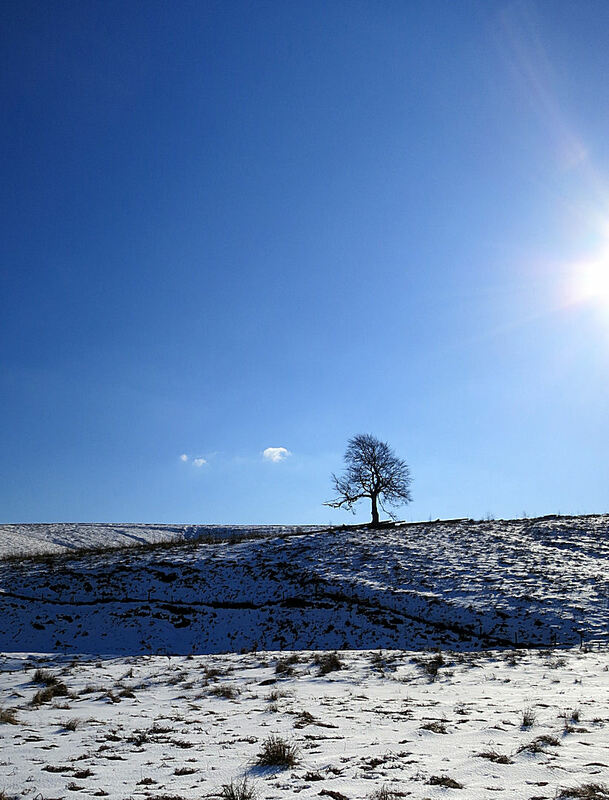 The strong easterly wind gave a significant sub-zero chill factor even in the bright ‘Spring’ sunshine. I had faffed about taking photos before I reached the ridge and found myself short on time to get back to meet up with a friend in the evening and pushing the pace on the second part of the walk was hard work in the deep snow. 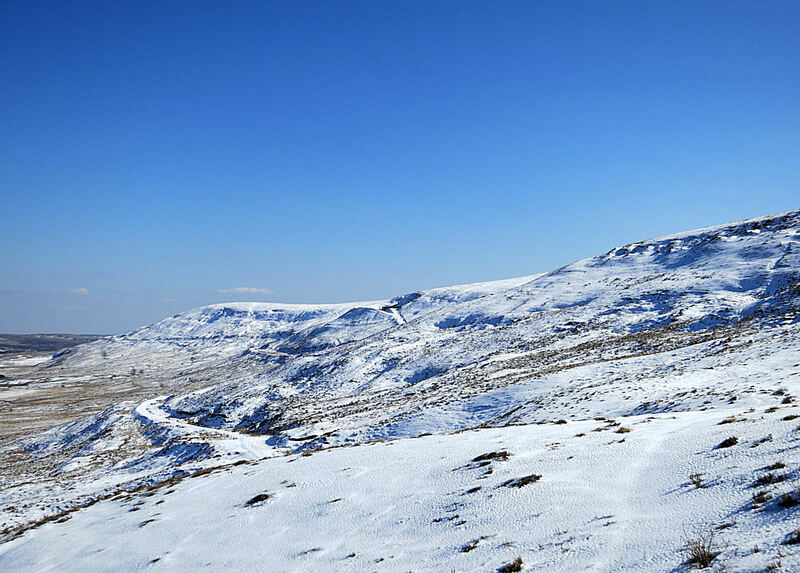 The place where I met the lads, in the lee of the main ridge, out of the wind and in the sun, was significantly warmer than it had been up on the top and on the track the snow was all but gone. But I guess that opening the car window to talk to me had let in a blast of cold air which persuaded them that I may be right when I said that conditions on the top were pretty extreme and that they would be best advised not to go up there. Sensibly, they had no intention of doing so and they turned round to go somewhere else where their nice warm bubble could take them. 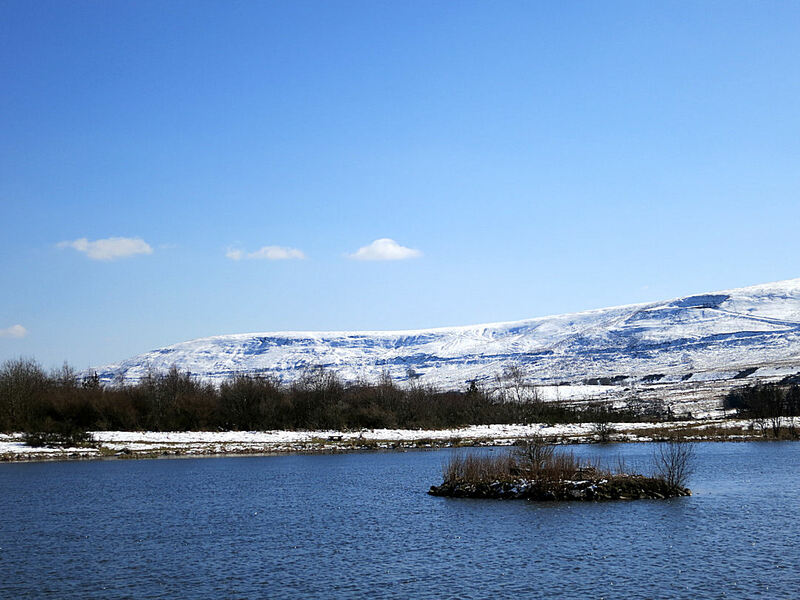 Just south of the Brecon Beacons National Park but in a landscape indistinguishable from it, the mountains of the Coalfield are little visited. It is rare to see anyone else out walking up on the tops and those few that do are almost invariably locals who know what they are doing. 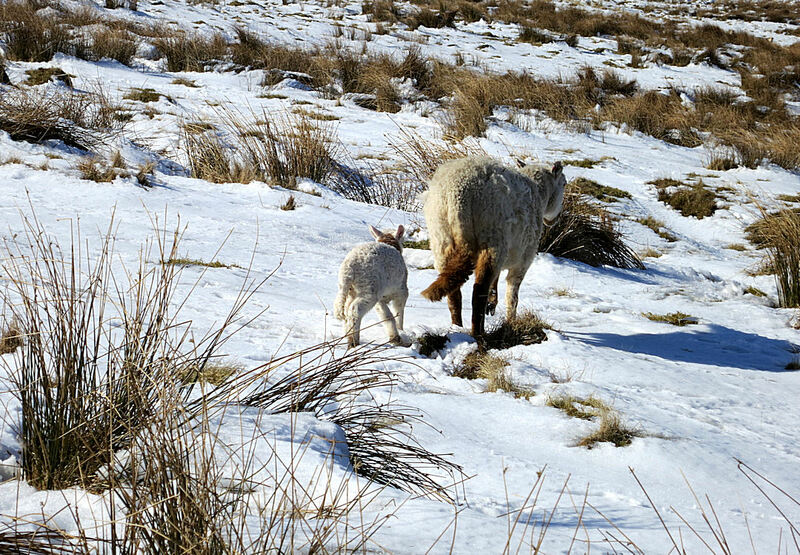 In winter conditions like these, even hardy locals stay at home or walk the dog somewhere else. I saw only one set of footprints on the top of the mountain. Someone had walked part of the route before me. There is something really satisfying about making first tracks in the snow, whether on foot or on skis, a faint echo of what real pioneers must have felt. Partly because of that and partly because of the satisfaction of overcoming difficult circumstances this was probably the most enjoyable walk I have done in the UK this year. 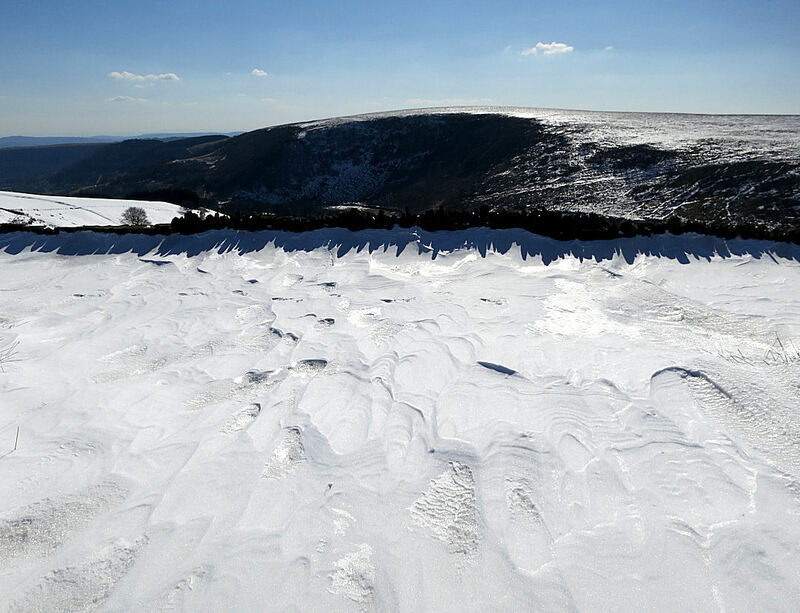 This entry was posted in Mountains, Pontypool, Reflections, Wales, Winter and tagged brecon beacons national park, British Summer Time, Catbells, Coity Mountain, Exposure, first tracks, Garn Lakes, High Spy, Lake District, Maiden Moor, pioneering, snow, snow conditions, snow drifts, south wales coalfield. Bookmark the permalink.